This is the complete Perfect Product system bundle that includes everything you need to go from no experience to creating a successful Viral Launch for your first product. The idea of starting an Amazon FBA business is very appealing. Many of us use Amazon to buy products on a weekly basis (or at least know someone that loves Amazon). The idea of launching your own product on Amazon is something that would give you passive income and is a solid side-business that could turn into a full-time thing making lots of money. And how good would it feel to tell your family and friends that one of the products they ordered is yours? The idea sounds great but what is the reality? "Yes... It is fear. Afraid of not being able to find a product that will sell. Also afraid of spending cash that I won't get a return on." "Fear of not being able to sell anything. Fear of not being introduced into a market that is already capped." "Fear of picking a product that won't sell." Or they will launch a product and eventually get beat out by someone else, will get their product stuck in customs, that the market will be saturated by the time they launch, or whatever other fear they have that they will fail losing their time and money. These fears stop 90% of people that want to start an Amazon FBA business right there. That 90% that talked about the idea of it gives up because of one of their fears. The remaining 10% continue their research online and let's face it... they get completely overwhelmed. I don't have to tell you about information overload. We all know the feeling. How Often Does This Fear Come True? You would think that there must be a lot of people that do waste their time and money on a product that doesn't work. Because so many people are afraid that it will happen to them it must be happening a lot, right? In our experience, the truth has been surprising. The overwhelming majority of our students at least break even on their first product. 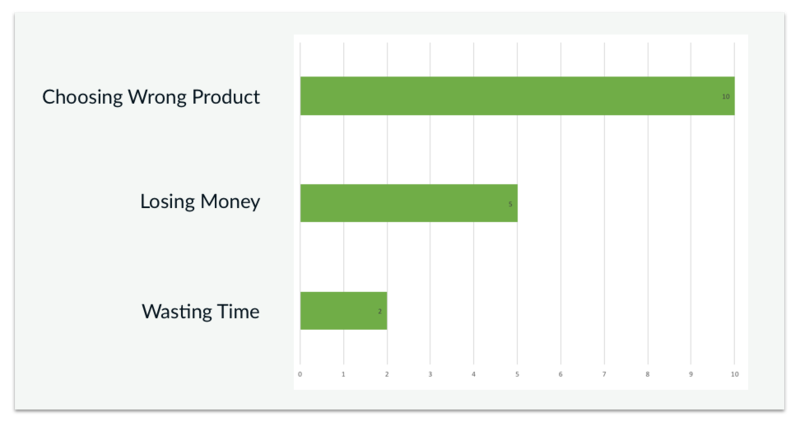 Most find their product to be profitable. And on top of that, we haven't had a single student so far regret pursuing Amazon FBA. Even if they didn't end up with a profitable product they tell us how much they've learned in the process and usually try again. It's a great reminder to question your fears. Just because they feel scary and real doesn't mean they are. James is an interesting character. He had a strong desire to start his own business with Amazon but he found learning to sell on Amazon overwhelming. When James first started looking into the possibility of selling product on Amazon he was skeptical. He discovered it by watching YouTube videos of these people saying they were getting rich without any work. Out of curiosity, James decided to join an in-person Amazon FBA jumpstart class. Wow, was he wrong--there was so much information given in those two days and no time to be actually hands on, all of the action needed to be taken after the workshop and this is where everyone got stuck. James was back at the beginning and felt lost. After a couple of months, he came across the ImportPanda Perfect Product course. 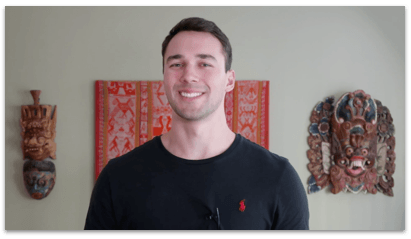 After reading their blog posts and watching their webinars, James could tell Erik knew what he was talking about, so he decided to join because of the action-based step-by-step model. The course was perfectly paced, quick enough to push you, but slow enough to allow you to take action between each step--it allowed you to absorb the information and then immediately act on it, where he learned so much more than the in-person jumpstart class. Throughout the course, James was consistently coached and has been taught to look at things in different ways. Fast forward to today, and James has a successful product launched on Amazon which wouldn’t have been possible without this course. Have Questions About Starting An Amazon FBA Business? After teaching 12,000+ students how to start an Amazon FBA business we get the same questions a lot. Below is a free PDF (no email required) that answers 79 of them. Click on the button below to enroll and get instant, lifetime access to the course bundle with all the support you need to create your Amazon FBA business. "Great job guys! I can tell that a lot of hard went into this, everything is thought through and superbly organized, clearly explained and orderly. How refreshing and encouraging to see the dedication and hard work that went into this, thank you so much for this creating this course and sharing your knowledge! The worksheets and punctuation system are a major plus! I highly recommend this course and am looking forward to emailing both of you with end results. Thank you!!!" "Eric has compiled this course UNLIKE ANY OTHER FBA COURSE. Great expanations of work throughs. Great workable examples from product selection to contacting suppliers which is what i was stuck on in previous courses. He supplies all email templates for emailing suppliers etc. His pace is just perfect for me as im some one who is a visual learner (i like to see his screen) then to take action after each step on my end. Great work boys on a step by step informative and practical course. Cheers from Sydney Australia." 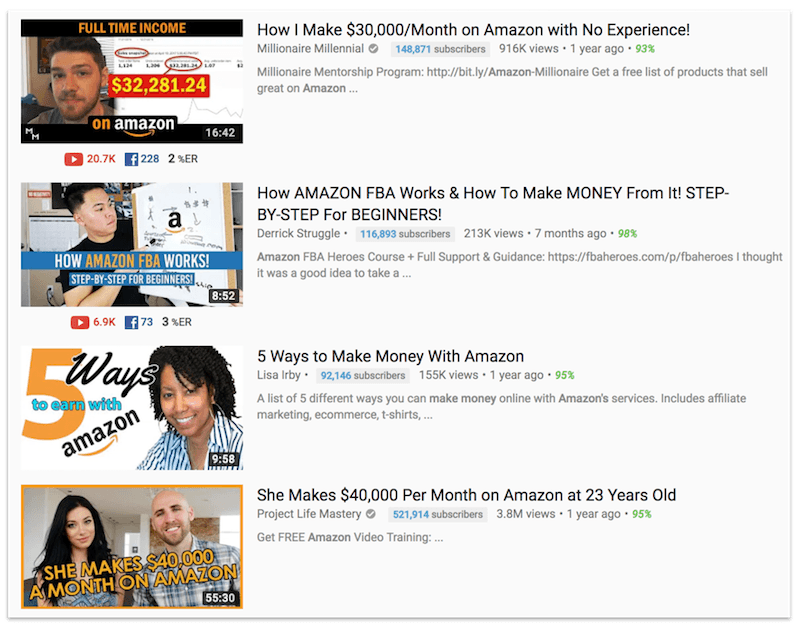 "As a newbie getting into Amazon FBA, it was very easy to get overwhelmed with the amount of information floating around on the internet. Essentially, I just needed someone to tell me where and how to start. By having actionable items in the course, it really encouraged and forced me to act on the items I was learning instead of passively absorbing the information. I would highly recommend this course to anyone wanting to learn more about Amazon FBA but more importantly, learning how to start!" Get all of the resources and support you need to silence your fears and start building an Amazon FBA business you're proud of! Erik Rogne will personally review your product choice before you import it. Here's what a student had to say about this: "I like the part of allowing you to review the product and give green signal on 1 product to choose as private label. As a beginner, this helps a lot and give confidence to move on and remove the fear of selecting the wrong product." Online courses are great until you have a question the instructor doesn't address. Then you're stuck. Our solution is a private slack group where you will join other motivated students and get quick answers to any questions you have directly from Erik. You also get lifetime access to our Alumni Facebook Group! Erik Rogne is a systems thinker (ENTJ). Over the years he has turned all of his Amazon FBA knowledge into easy to follow instructions. He originally created these documents for himself but now he is sharing them with you. These 30 PDFs are worth the cost of this course alone and will help you tremendously as you continue to grow your business. Our refund is no questions asked. If you don't like the course or if you change your mind about Amazon FBA you get a full refund. All you have to do is send an email to support@importpanda.com with the subject line "I want a refund" and we will process it immediately! Runs a $100,000 per-year Amazon FBA business Working full time in an ad-tech company in SF Engineer, Entrepreneur, Innovator. Erik Rogne is a systems thinker and has created an easy-to-follow Amazon FBA system that he's followed many times to launch different products. Originally he created for himself but now, for the first time, he is sharing what he learned through real-world experience inside this course. Can I follow this course if I live outside the U.S.? Yes. The method we teach (and believe is the best) is for you to ship product directly from your overseas supplier to Amazon's warehouse. We also provide resources for people living outside the U.S. for getting EIN number and receiving payments. Can you guarantee the success of my product? We cannot guarantee your first product will be successful. We have done everything in our power to make your chances of success as likely as possible (we define success as a product that provides a reliable monthly income of $500+ and grows over time). There are too many factors to be 100% of your first product's success. We can guarantee you will learn a lot no matter what happens. Yes. We have a 90-day no questions asked refund policy. If you don't like the course or if you change your mind about Amazon FBA you get a full refund. All you have to do is send an email to support@importpanda.com with the subject line "I want a refund" and we will process it immediately! How long will it take to get answers to my question on Slack? You can expect an answer to any questions you post on the Slack group within 72 business hours (but usually in 24 hours). The great news is you share the Slack group with other students on the same journey as you. This means there very likely is already an answer to your question or by asking your question you also help out the group. How much time should I expect to invest?